I buy a beer. I drink a beer. I take a picture of a beer. I write a little bit about a beer. As fall approaches, it’s time to begin the hunt for beers that are a little more malty, a little more toasty, and a little more nutty. Please welcome Ellie’s Brown Ale to the Beer Can Revolution lineup. Thanks to Avery Brewing Company, I have enjoyed my very first American Brown in a can. Almost a session beer at 5.5% and very drinkable. Definitely encourages having another. I see this going very well with my wife’s chili, which I’ll be promptly requesting her to make as the temperature begins to fall. 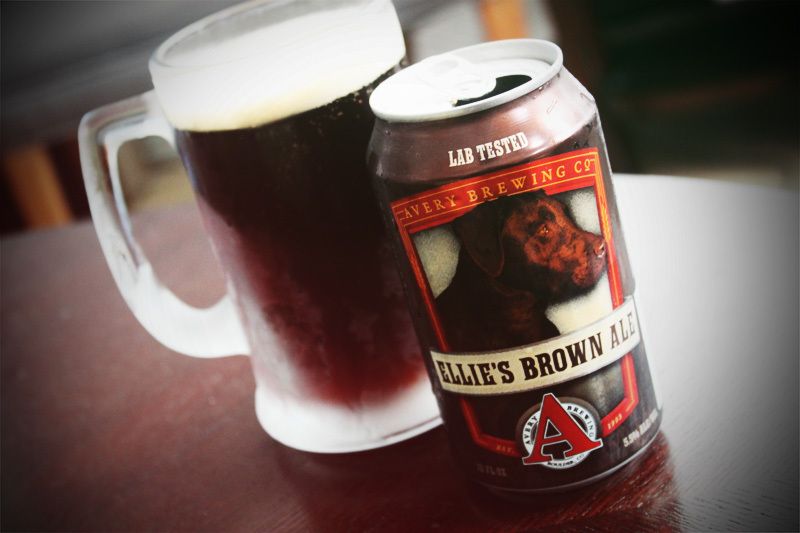 Ellie’s Brown Ale | Avery Brewing Company (Boulder, Colorado) | American Brown Ale | 5.5% ABV | $10.49/6-pack. Today is a world-wide day of appreciation and celebration. A day that spotlights mankind’s most intelligent use of water, hops, and grain. It is a day to remember the pioneers of the industry, and applaud the hard-working men and women of craft breweries across the globe. Today is International IPA Day. On a day as powerful as this, we mustn’t choose lightly which beer we’ll consume. We must choose with purpose and with heart. We must choose with the same vim and vigor as that of the brewmasters from whom our selection was created. Today I choose you, Imperial IPA. With your 10% ABV, your 100 IBUs, your pungent citrus aroma, and all your dry hopped perfection. Above all, I choose your can. Hailing from Oskar Blues Brewery in Longmont, Colorado, this Imperial IPA was the first of its kind to grace the inside of a can. 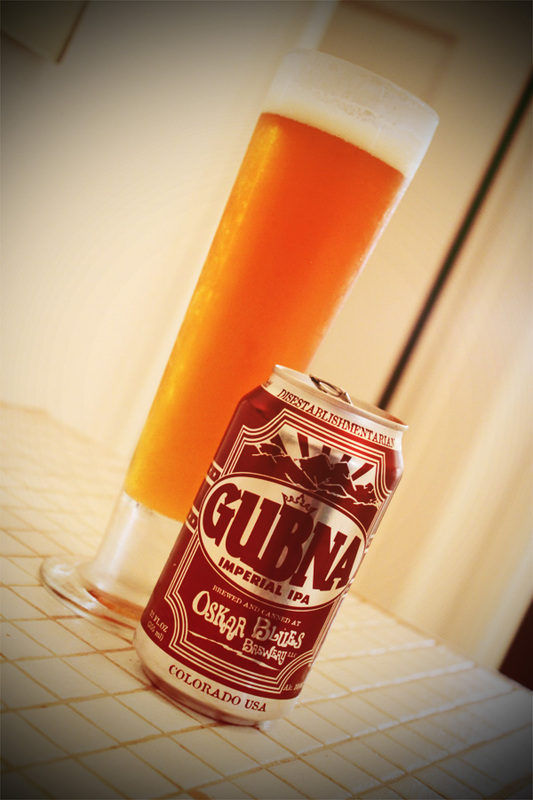 Sold exclusively as a 4-pack at the top shelf price of $16.99, the Gubna sits in a class of it’s own. 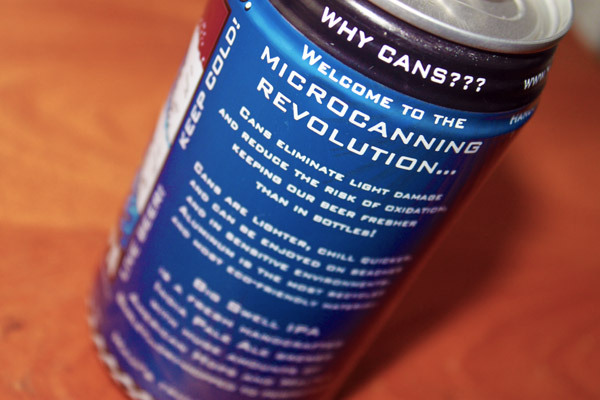 Thank you for supporting The Revolution, Oskar Blues! 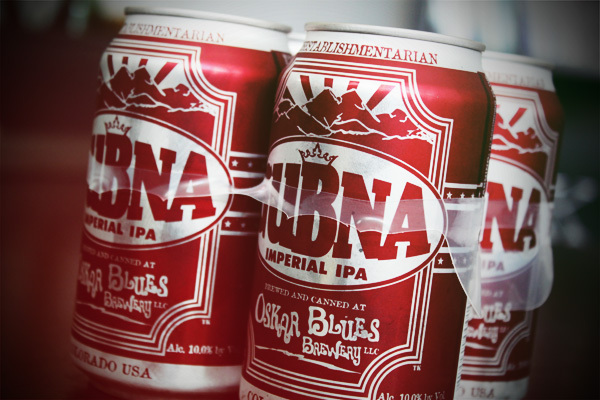 Gubna Imperial IPA | Oskar Blues Brewery (Longmont, Colorado) | Imperial IPA (American Double IPA) | 10.0% ABV | $16.99/6-pack. The wife and I decided it was time for a weekend in the wilderness, so we took an impromptu camping trip in Big Bear for a little R&R. In an attempt to find a beer that matched my surroundings, I picked up a six-pack of Avery’s India Pale Ale before we hit the highway. I was hoping for something fresh, earthy, and surrounded by pine (see what I did there?). Avery Brewing Company’s IPA was just that. I found the bitter finish to pair perfectly with a little dirt, campfire smoke, and the welcoming sound of thunder when you didn’t bring a tarp. 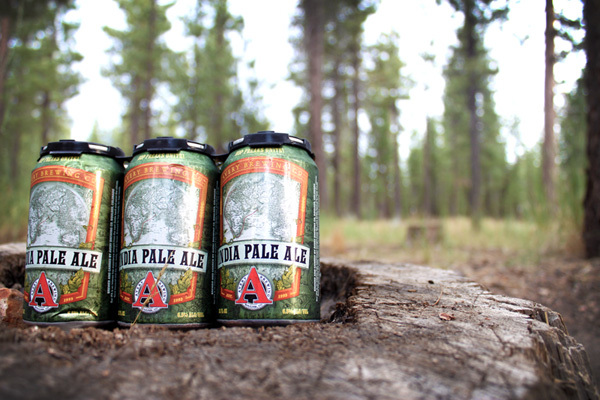 India Pale Ale | Avery Brewing Company (Boulder, Colorado) | American IPA | 6.5% ABV | $10.49/6-pack. 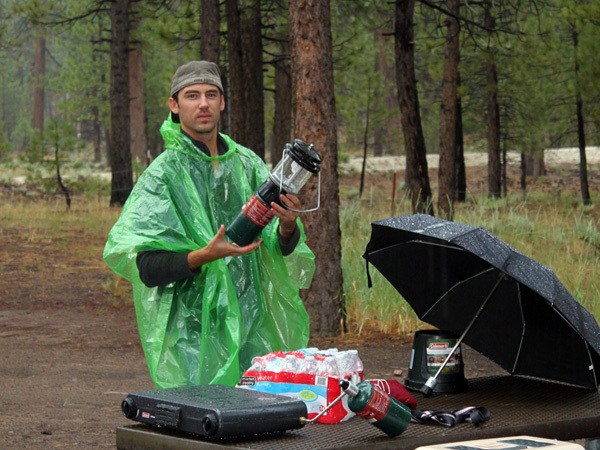 A word to the wise: If you know its going to rain, bring lots of BEER and a TARP. Go Biking. Go Rafting. Go Fishing. Go Snowboarding. These are all great excuses to pick up a six pack of Ashland Amber from Oregon’s Caldera Brewing Company, or any of their other beers for that matter. This smooth, malty amber with a perfect balance of hops would be a perfect companion to any of the above noted activities. I happened to enjoy it while watching TV (I know, Caldera would be disappointed). Ashland Amber is one of the more “easy drinking” beers I’ve had since I started this little operation, and I can certainly appreciate that. I don’t care if you’re skydiving or couching it, this beer is fun to drink. 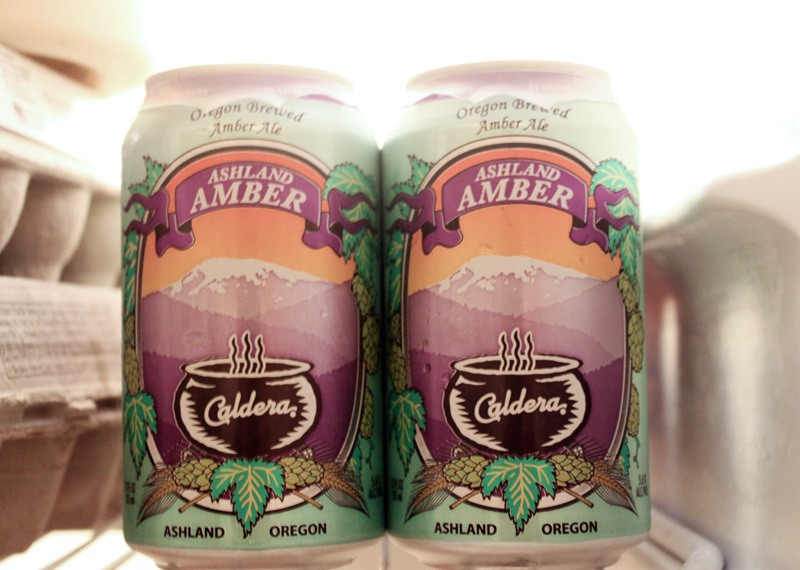 Ashland Amber | Caldera Brewing Company (Ashland, Oregon) | American Amber Ale | 5.6% ABV | $9.99/6-pack. MY THOUGHTS | price: 4/6 | taste: 5/6 | category: Go Places, or Not. As much as I’m into cans, I’m also into local craft beer. When a beer fits into both categories I get pretty excited. This American IPA from Boonville, CA has me finding an obvious pattern in California craft brew… BIG HOPS. Hop Ottin’ is everything a classic American IPA should be: bright citrus, light caramel, and a little bit of bitter (and all very well balanced). 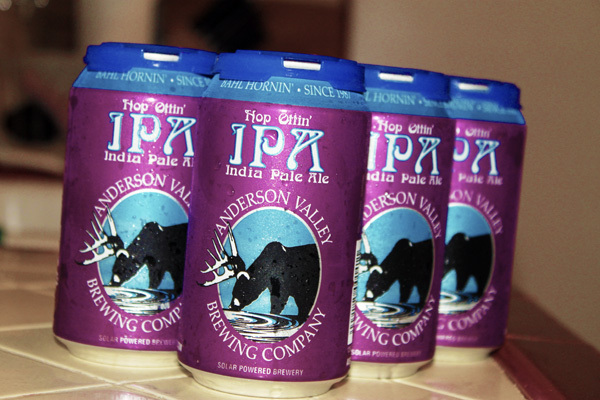 Although not exclusively in cans, Anderson Valley is still very much helping pave the way for the California craft can scene. Looking forward to the rest of their brews! Hop Ottin’ IPA | Anderson Valley Brewing Company (Boonville, California) | American IPA | 7.o% ABV | $9.99/6-pack. All these bright and citrusy beers have put me in the mood for something sweet, strong, and a little bit filthy. Enter Oskar Blues Old Chub Scotch Ale. This 8% “Wee Heavy” was like a 12 oz pour of a raisins and smoke. I’m pretty sure it even put a little hair on my chest (yes, I checked). This is another win for Oskar Blues, the pioneer of the craft can, and might become a regular in the fridge amongst the stinky cheese and apricot preserves. 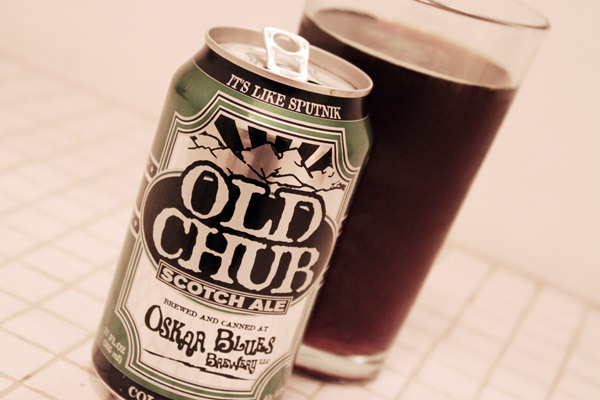 Old Chub Scotch Ale | Oskar Blues Brewery (Longmont, Colorado) | Scotch Ale | 8.0% ABV | $9.99/6-pack. It was time for a change of pace, and this smooth Belgian-style unfiltered wheat beer was the perfect relief from all the hops I’ve been ingesting as of late. For me, the wrong season for this one (with all the spices, citrus, and whatnot) but a great beer none-the-less. 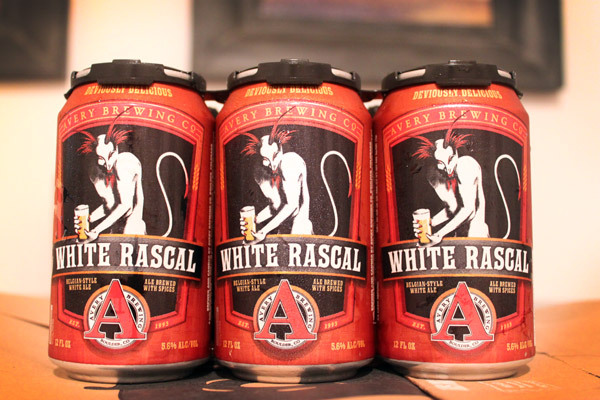 This is the first Avery brew I’ve had, and will gladly try another when this 6-pack is gone (which won’t be long). 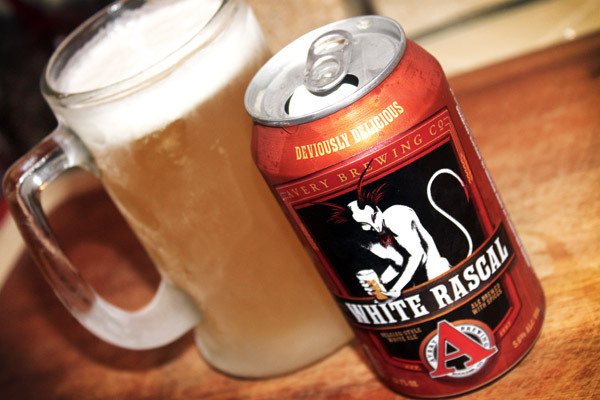 White Rascal | Avery Brewing Company (Boulder, Colorado) | Belgian White Ale | 5.6% ABV | $10.49/6-pack. There isn’t much to say about this cheap but surprisingly drinkable Trader Joe’s special. Pick it up for the novelty, not the quality… but pick it up nonetheless. It certainly beats a Bud Light! 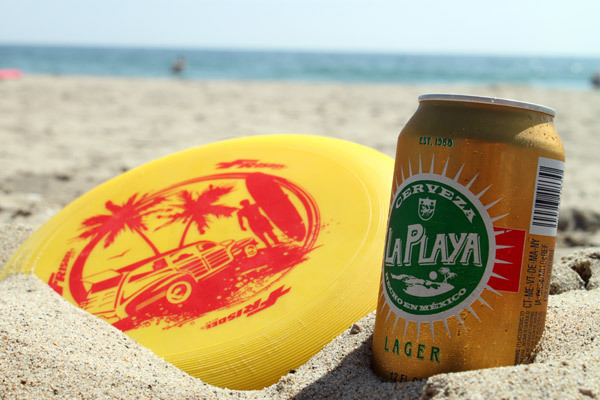 Cerveza La Playa | Cervecería Mexicana (Tecate, Mexico) | American Pale Lager | 4.6% ABV | $3.99/6-pack. You can imagine my delight when I came across an entire refrigerated section dedicated to craft cans at Whole Foods. I couldn’t pass up trying this IPA straight from the island of Maui which boasts to be “Big, hoppy, bold, smooth and hoppy… Did we mention hoppy?” as well as warns “LIVE BEER! KEEP COLD!” I drank it from a cold mug, and it did not disappoint. Despite the huge amount of hops it was incredibly smooth. 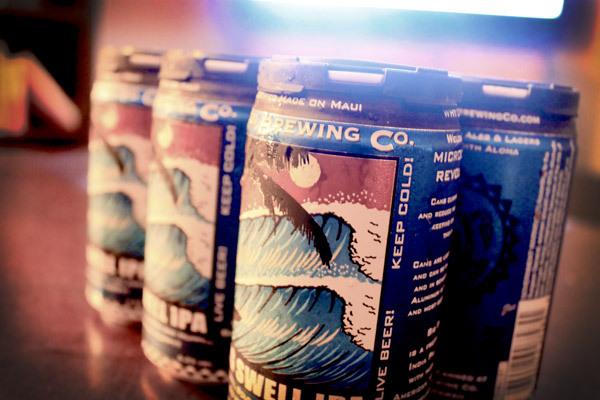 Big Swell IPA | Maui Brewing Company (Maui, Hawaii) | American IPA | 6.2% ABV | $11.99/6-pack. MY THOUGHTS | price: 3/6 | taste: 5/6 | category: Winning! My go-to beach beer. 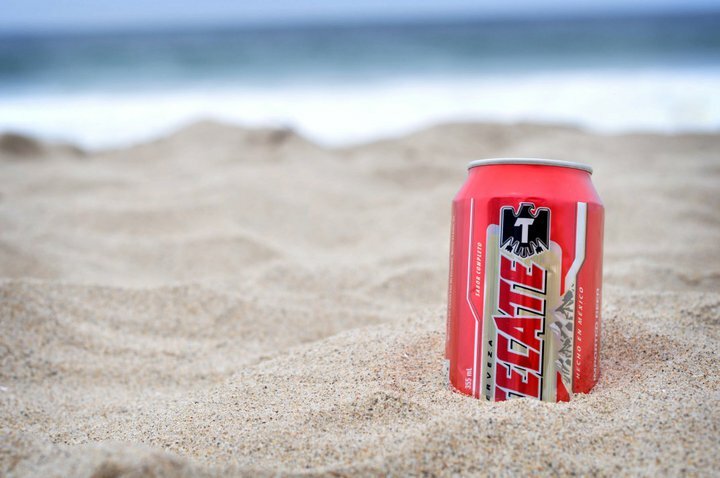 Tecate was built to withstand all of the elements of a warm day at the beach. It’s light in both flavor and alcohol content, tastes even better with a little salt-water and sand, and takes well to the warm temperature. Add a lime and you’ll think you’re in Mexico.